40 MHz of spectrum will be auctioned in the 2.3GHz band . This band is already supported by mobile devices from manufacturers such as Apple and Samsung. These airwaves could be used immediately after release to provide extra capacity, meaning faster downloads and internet browsing for mobile users. It may be harder for networks to keep up with demand without more spectrum . 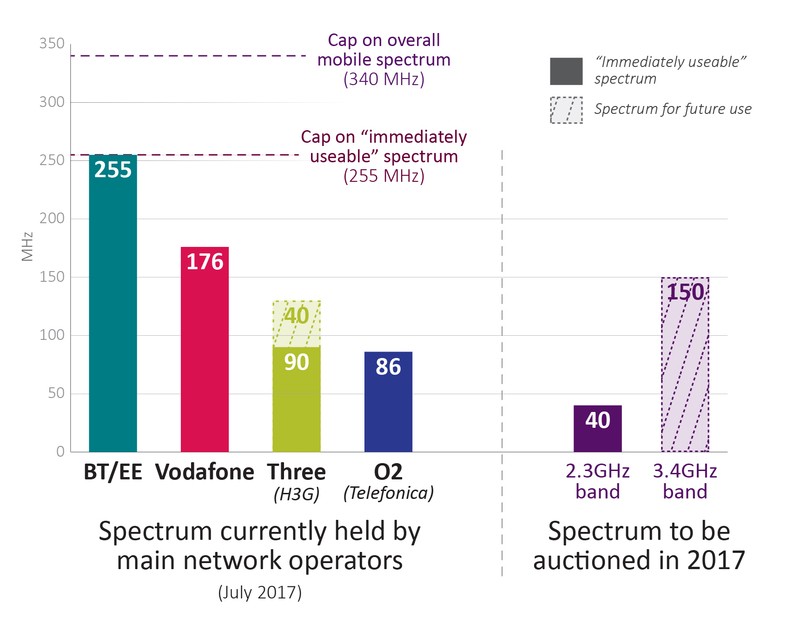 Evidence shows operators with lower shares of spectrum cannot easily deliver more capacity by relying on other approaches, such as more masts. This means any large imbalances in spectrum ownership may present stronger concerns. This strengthens the case for both caps in the auction.